One batch of the product may contain salmonella. 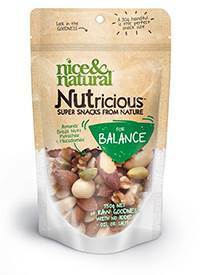 Nice & Natural is recalling their Nice & Natural Nutricious Balance nut mix after discovering one batch may contain salmonella. This product has been sold through PaknSave, New World and Four Square supermarkets and other food outlets throughout the South Island. All products with the batch information listed above should not be consumed. Any person concerned about their health should seek medical advice. Customers should return the product to their retailer for a refund or phone 0800 808 990 (option 1) with any queries. This recall does not affect any other Nice & Natural product.